The cool blue illumination signals that the KDC-BT42U is the first in our range of Bluetooth hands-free solutions which also has iPod/iPhone direct control. If your mobile phone is of the Android persuasion you can download our free Kenwood Music Control App to gain full control of your phones music storage and display of album, artist data etc. On the hands-free front your phonebook list is displayed for selection and previous call logs can also be used. Incoming caller number or name is also displayed before you allow connection. A second phone can also be connected for call/send/receive only. Other USB music storage devices can also be connected such as a portable hard-drives, USB stick etc. A 13-character display gives easy visibility even in sunny conditions. 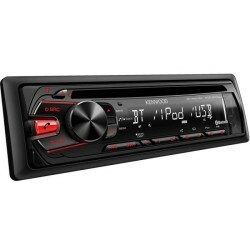 A high power 4 x 50watts built-in power amplifier will fill your car with high quality sound from any source. 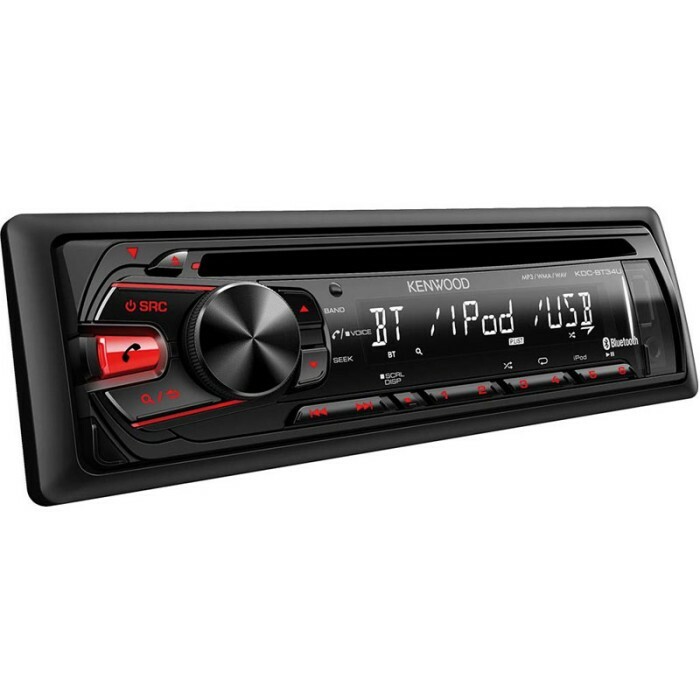 This Kenwood KDC-BT42U comes complete with all fitting accessories required to install into Ford Focus / Mondeo 2005>, Retaining all original features Keeping your steering wheel controls. Pleased with the deal, and the kit, but didn't get the CTSONYLEAD Patch Cable for the Connects2 Kit to the Sony Head Unit included, so bought this elsewhere to allow the Focus Steering Controls to work. I saw this package on your site & thought this is too good to be true! 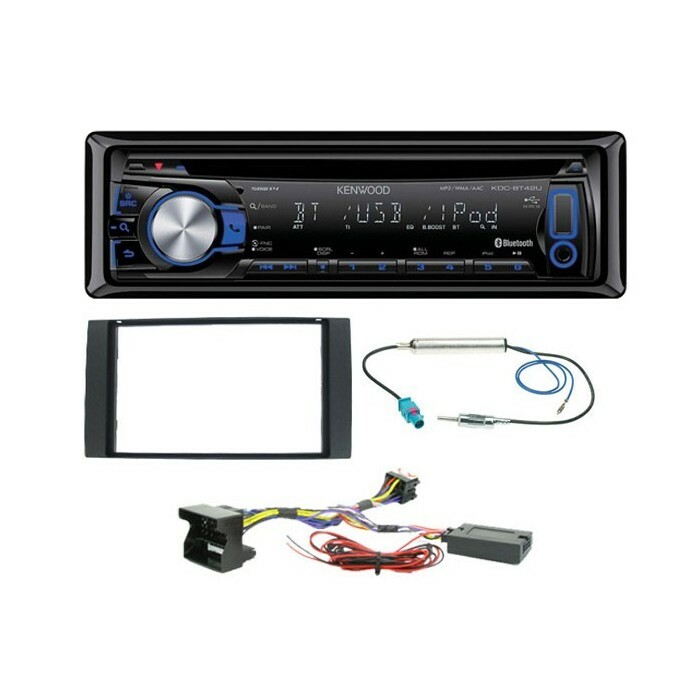 Stereo, facia, steering wheel remote interface & aerial adapter all for under �150? Yeah, right!! It arrived this morning & I'm still in shock. How can you guys do this? I'm not complaining though.